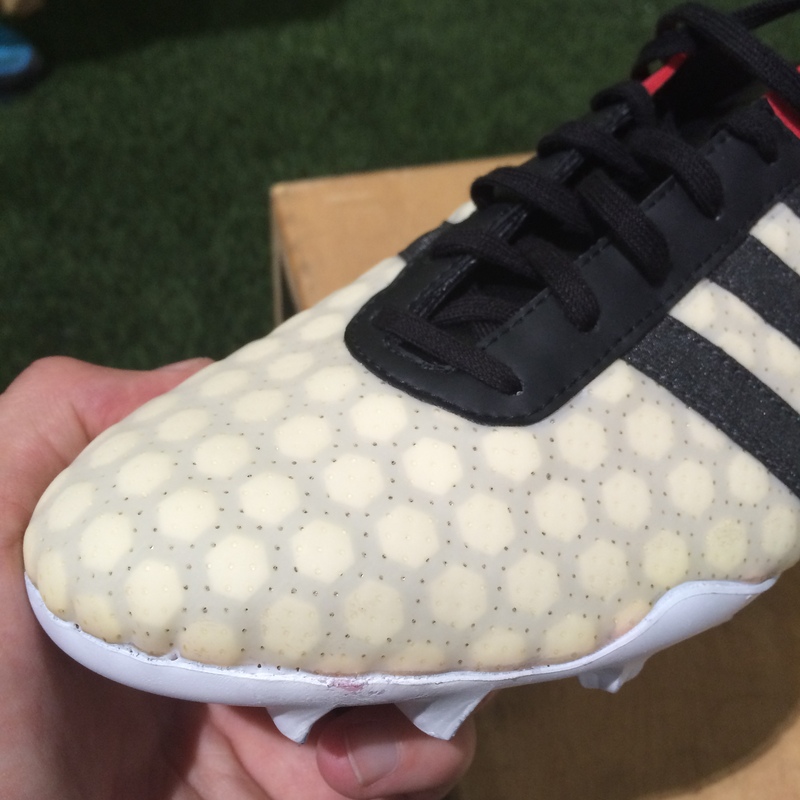 Home / Adidas / Adidas Ace15 Prototypes – From Concept to Design! 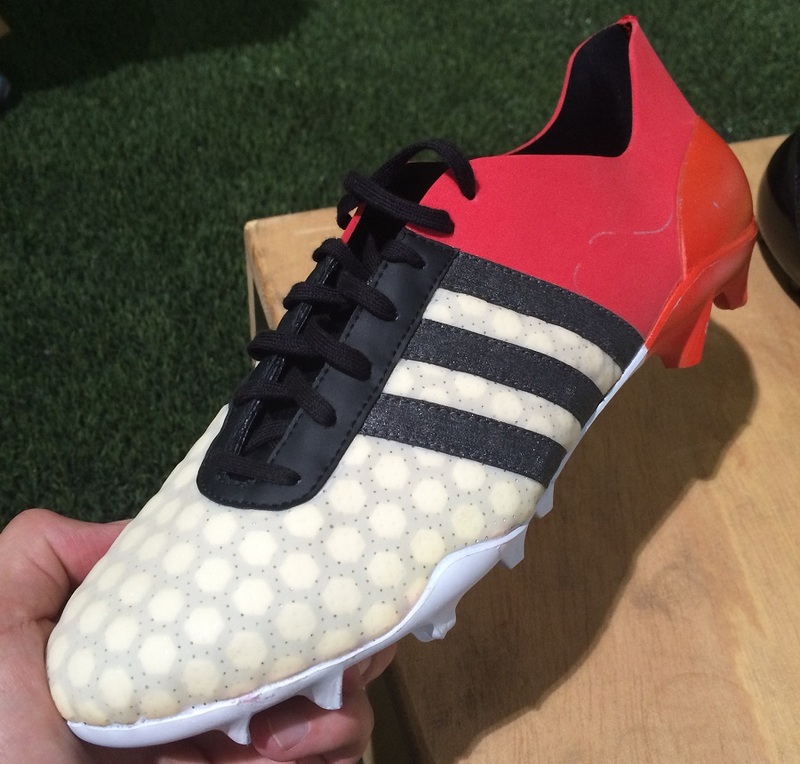 Adidas Ace15 Prototypes – From Concept to Design! If you are anything like me, the opportunity to check out some Prototype Boots is always an absolute joy. First, you get to see what the design process was like and how its creators envisioned the outer shell of the boot, its colors and personal detailing. Then you compare them side-by-side and start to get a picture of the development process, and how key areas where modified to improve performance. Personally, I find that it allows for a deeper connection with the final design as you begin to understand where it has come from and why it holds its own personal set of elements. Last weekend while in Berlin, Adidas introduced us to a whole wave of cool prototype boots for their latest Ace15 and X15 boots. These prototypes ranged from the very first versions to pairs that were contenders to be actual releases. There were also blackout pairs that they’d put through thorough testing. And of course, the final end release product. Of both boots, we got a pretty detailed look at the Ace15 and wanted to bring you up-close detailing on where and what adidas had going on! If you want to see all the boots in the Ace15 collection, head to soccer.com. It kicked off with some awesome sketches, from the very beginning development boot to a stage 3 design. We are in a time when creating prototype boots is a lot easier and quicker thanks to 3D printing technology, something the folks at adidas uses in their process. So, the ability to draw out and test multiple designs is now possible in a faster period of time that it would have been two years ago. As you would imagine, this in turn allows designers the opportunity to really hone in on key attributes and find the best possible outcome. 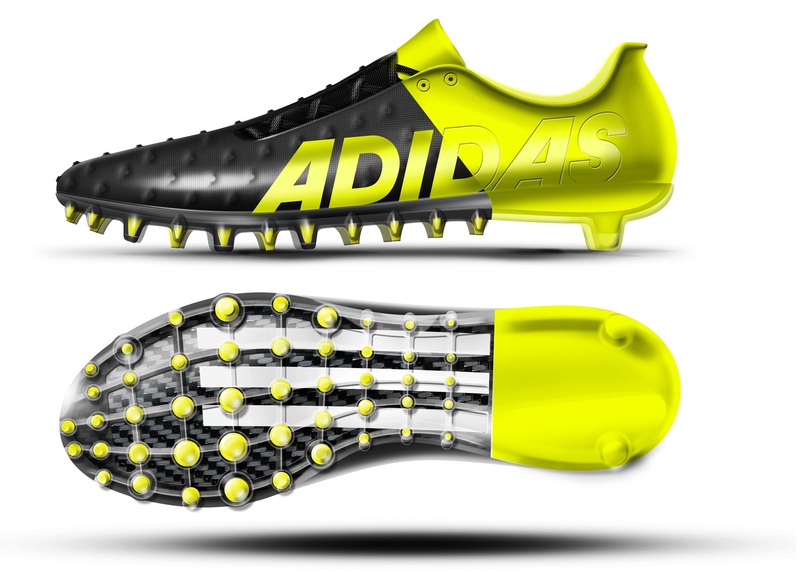 The one thing of note is how adidas looked at continually including sharp, streamlined elements, and at one stage they looked at the idea of placing a mid-cut collar on the playmaker style boot. Also, right throughout, it is also pretty obvious that control is a key focus. Looking at the bot image above, you can see how adidas worked on implementing a different type of dimension across the forefoot. 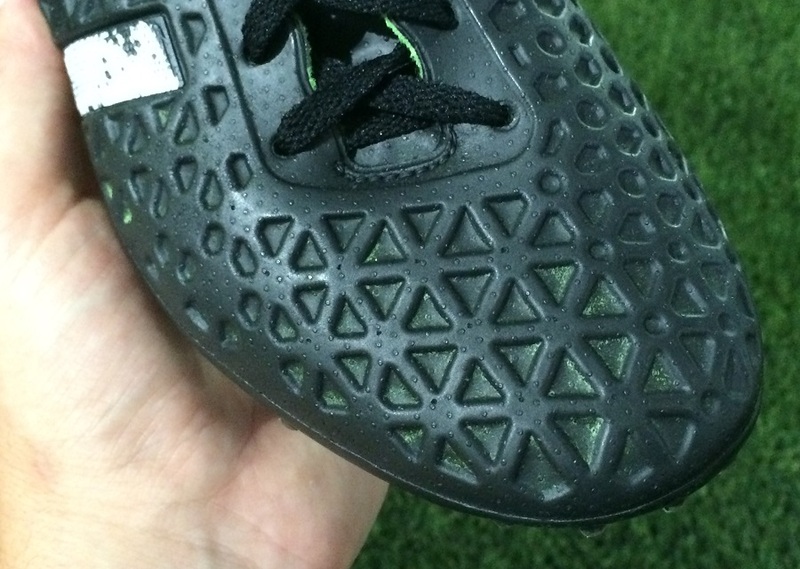 And that soleplate; wild coverage through the forefoot with a two stud heel design – very interesting! And then there are the actual boots, with an up-close shot of each included to let you see how adidas looked to incorporate a more multi-dimensional functionality. The Red/White design was the first one created, followed by the Green/Black version. Both incorporated unique elements that are the building blocks behind creating the final design. It was a two year of trial and error to find the exact specifications the three-stripe were looking to find. 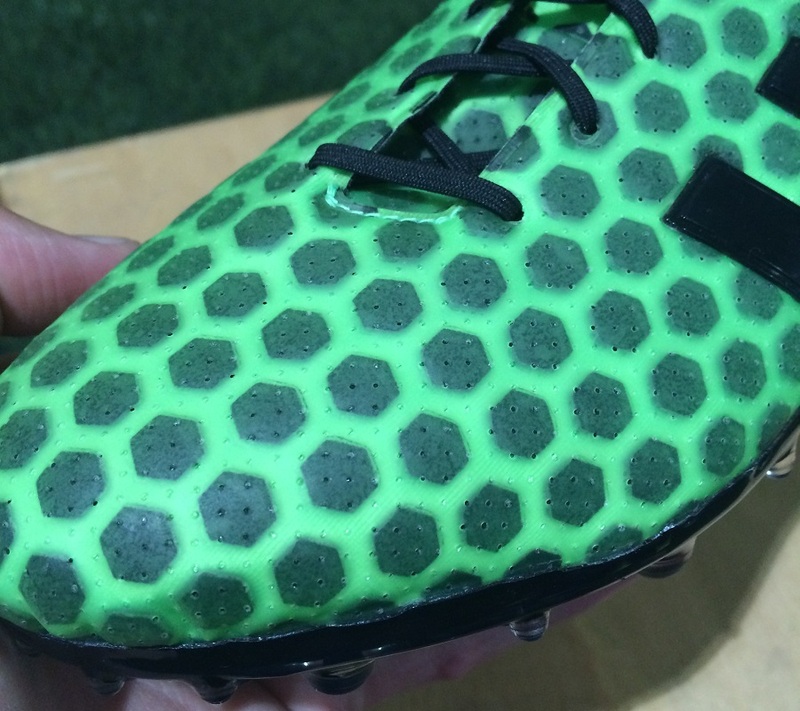 The final image below shows the forefoot of a tested prototype, one that was blacked out and worn by an unnamed pro player. 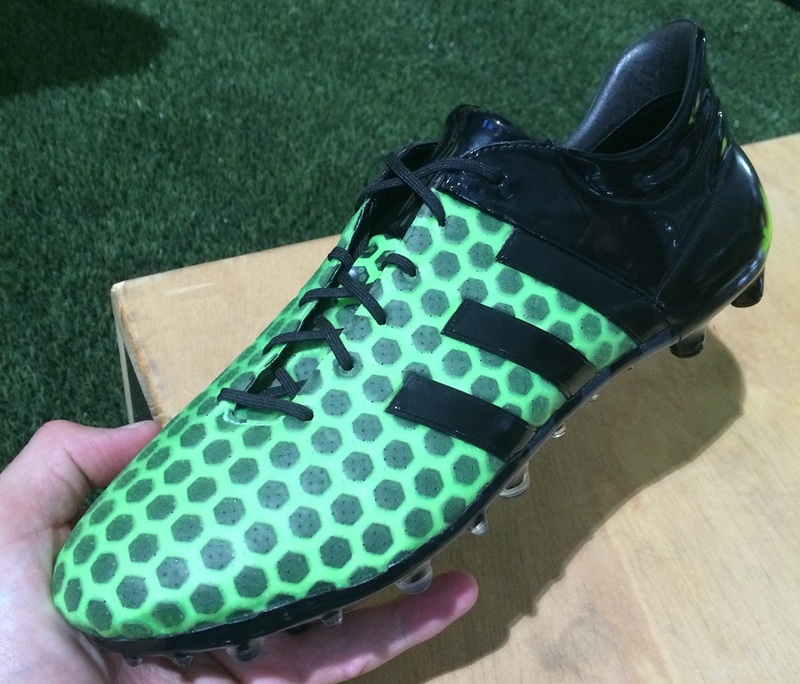 The blackout has worn off – probably because adidas simply used a sharpie to try hide the design on this version! To all the brands out there – follow suit and let us see more behind the scenes information and prototype designs, so that we can further understand the development of your boots! Anyone else agree? What are you thoughts on the prototypes and would you have any interest in seeing even more designs? 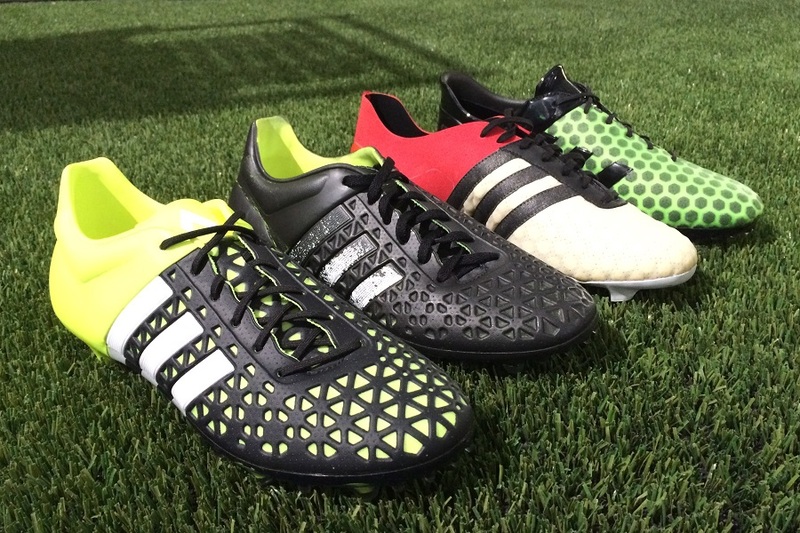 Again, if you want to see all the boots in the Ace15 collection, head to soccer.com. I would love to be Antonio Zea's deputy. I might be able to get them? Some of those sketches are really sweet. Hopefully adidas got some inspiration for future releases with those. Love the pair with adidas wrote on the side!